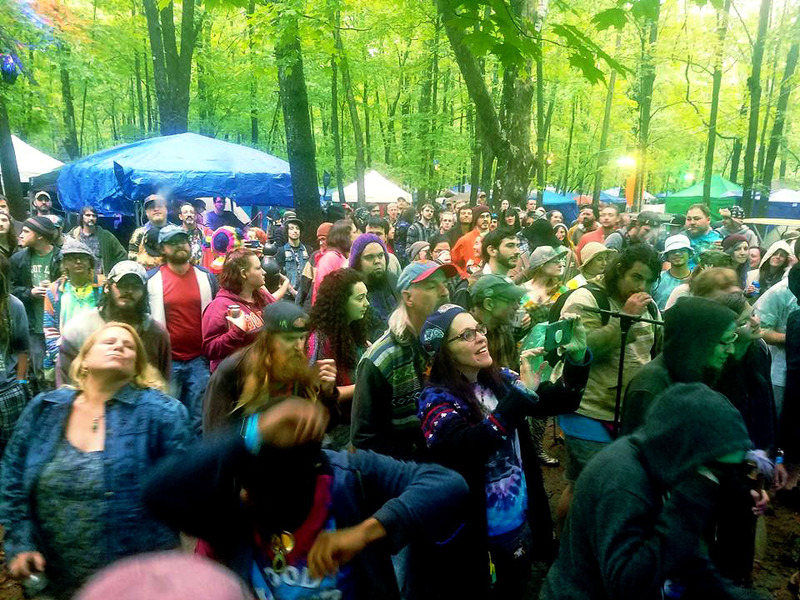 Our return to the Strange Creek Music Festival was a gratifying opportunity to spend quality time with our ever growing network of friends among the Staion Nation and scores of new friends who welcomed us with open arms. The Friday rain and mud did nothing to deter the outpouring of support from this wonderful crowd. It was our pleasure to invite Budd Ericsone to sit in delivering a solid rendition of Jimmy Cliff’s The Harder They Come. During his performance Saturday on the main stage, Budd was joined by Creamsters Dylan Kader, Don DeStefano and Michael Ryan on mandolin, harmonica and percussion respectively to accompany his fine rendition of The Thrill is Gone. As an added bonus, Budd, upright bassist Jeff King and many other solid jammers joined in for a late night unplugged bonus Creamery-Lite set at the Verneville stage. Wow, now that the dust has settled from StrangeCreek Campout 2017 *Official* (OK, I mean that figuratively, not literally…last year’s StrangeCreek was the dust bowl, this year was a mud bath! )…a little reflection and thank you’s for this years festival…damn, whatta f#ckin’ blast!!! The crowd for our Creamery Station show at the River Worm Stage was off the charts…damn, thousands of people swaying and grooving to us in a sea of mud!!! The energy and crowd response was off the charts…one of coolest experiences in my music career. A huge thank you out all of our friends and many new fans for such an overwhelming response…how f#ckin’ cool!!! A very special thanks to Bud Johnson of The Kind Buds for joining us for a rousing rendition of the Jimmy Cliff classic,”Harder They Come”…phenomenal crowd response…you killed it bro!!! And a real debt of gratitude to those who helped us load out and helping to push the truck mired in mud…and to the band members of Black Masala (the band performing after us…fabulous band BTW from Washington DC!) for rolling up their sleeves and helping out with the stage transition…we shared a truck, which was about axle deep in mud and everyone dug in to help off load their gear and load our gear onto the truck, and get ‘er outta the muck…this is what the StrangeCreek vibe is all about!!! So much great music to be heard all weekend and a way cool chill vibe…it was certainly a bit chillier and damper this year than last year!!! Saturday afternoon, myself along with fellow Creamery band mates, Dylan & Michael were invited to sit in with Bud Johnson on his set on the Main Stage…as always, so great to throw it down with Bud…fun jam!!! After catching a few great bands, spent some time at The Station Nation “encampment” on the banks of the Green River near the RiverWorm Stage…a special thank you to “the Nation” and Jamie Lynne for the yummy chow. Some of us from Creamery Station hooked up with some of the guys from Bella’s Bartok for an impromptu, unplugged acoustic jam session on the riverbank around dinner time…just so friggin’ cool…it’s these spontaneous, off the cuff, jam sessions that just occur out of nowhere, that make these festival gigs so great. After catching a stellar and lengthy set by Max Creek, I was invited by David Frankel to sit in with Shakedown for their late night set at The Barn…to an energetic and completely packed, standing room only crowd…WOW!!! Thank you so much David for your invite…fun jamming with y’all!!! I was just wrapping up with Shakedown when I gotta message on my cell that Creamery Station along with some of the guys from the Bud & Budd ~ The Kind Buds were putting together yet another spontaneous, unplugged acoustic jam at the Vernville Stage…this may have been the coolest performance I was involved in at StrangeCreek…quite a few other musicians joined in as we jammed till 3AM, under the stars, playing a variety of blues, bluegrass, Dead standards…and of course some Allman Brothers tunes in honor of Greg’s passing…to another large crowd singing along with us…absolutely no electricity or power…stage lighting provided by flashlights and glow sticks…and completely unplugged, acoustic…so great to have so many musicians playing in that fashion together, laying back so everyone’s solos could be heard…what a fun performing experience!!! 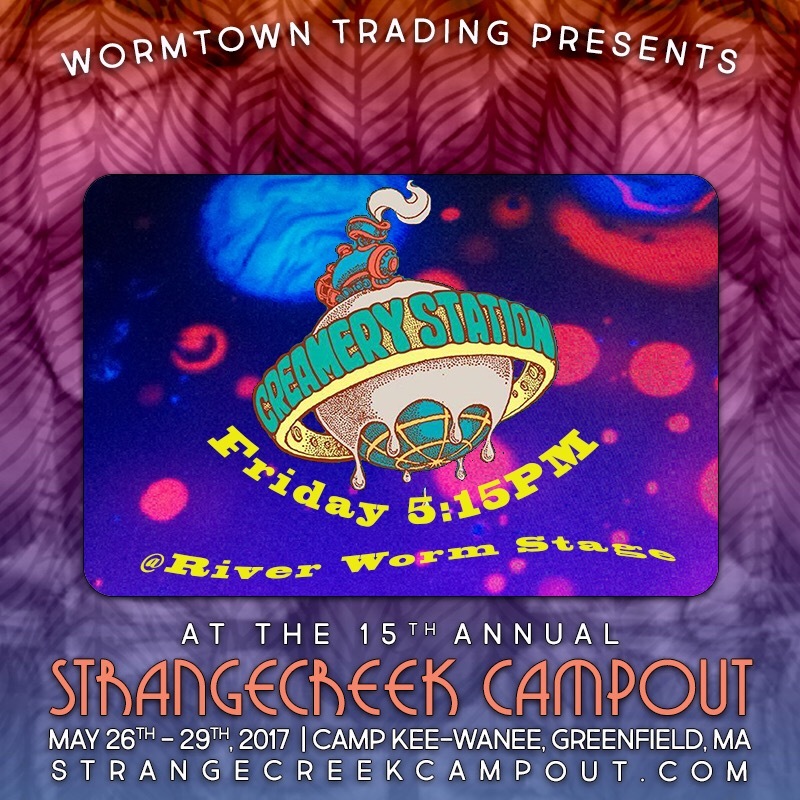 Again, a very special thanks to all who pitched in to make this happen, especially to Dylan Kader who really put this gig together for us…the staff and crew of Wormtown Trading Co. & StrangeCreek Campout 2017 *Official* for accommodating not just us but some many people so nicely…THANK YOU for such a memorable, Memorial Day weekend!!!!!!!! !